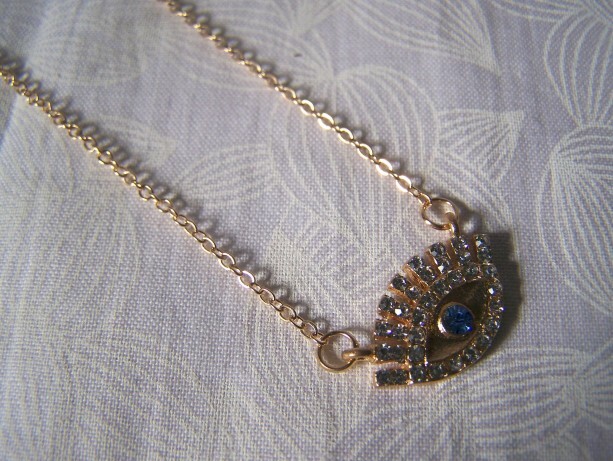 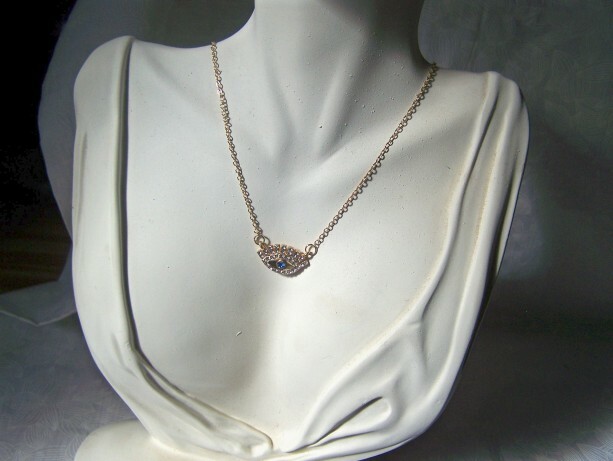 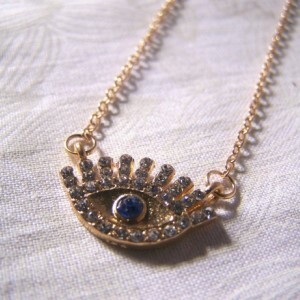 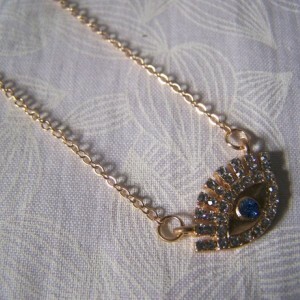 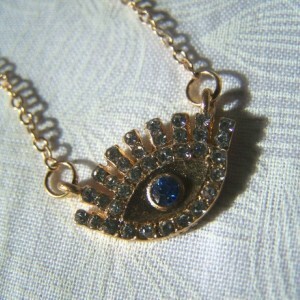 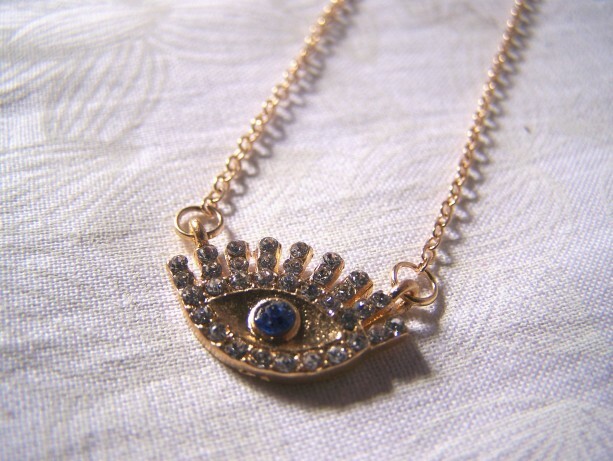 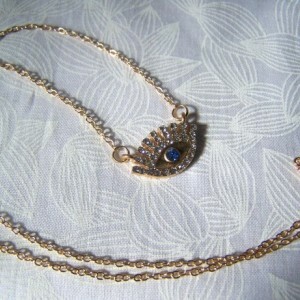 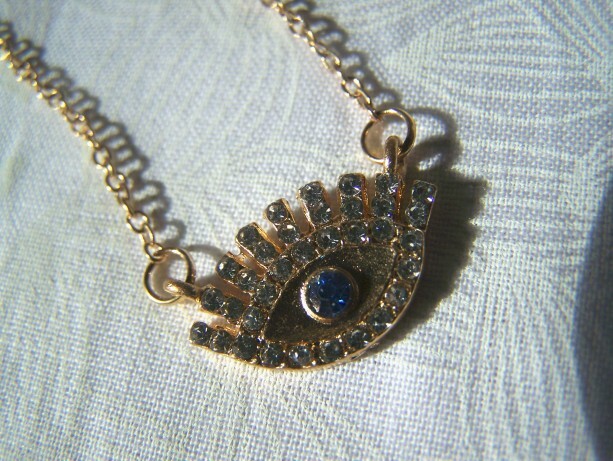 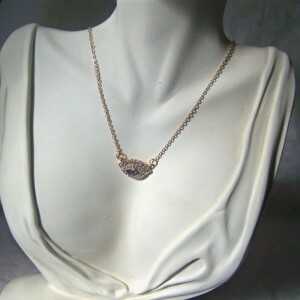 Evil Eye Necklace Crystal Pave This pretty piece has a light blue crystal in the center and clear crystals for the lashes and outline in a gold plated setting. 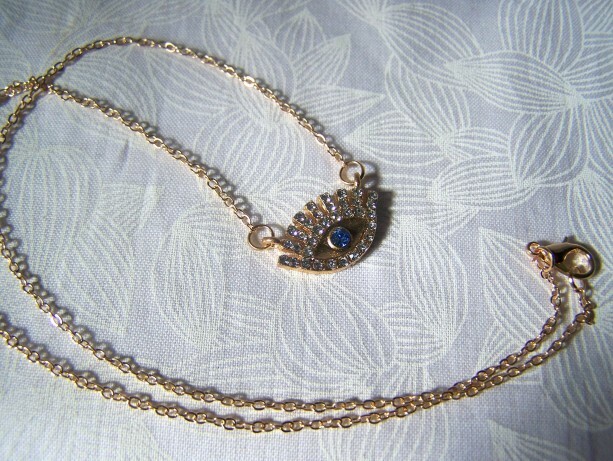 The gold plated chain is 18" with a lobster claw clasp and the eye is 3/4" long by 1/2" tall. 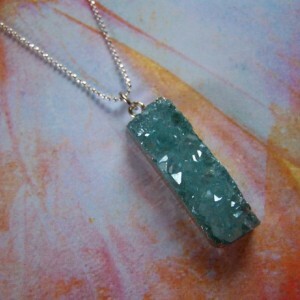 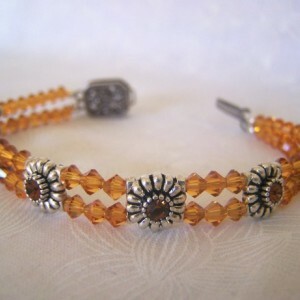 I always coat this type of jewelry with a clear sealer to help keep any crystals from falling out and ruining your piece.